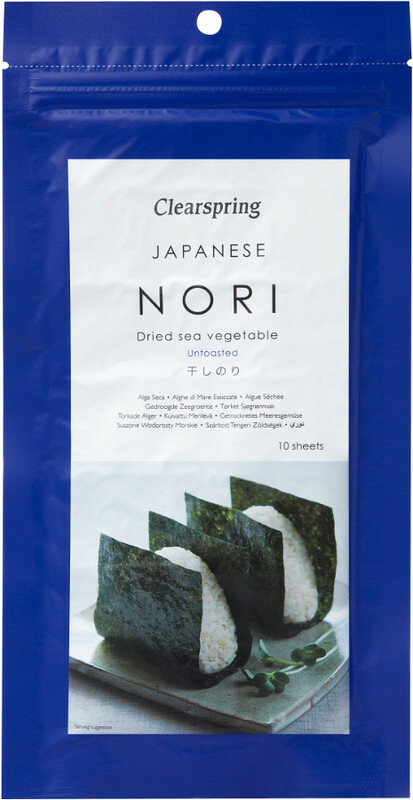 Selected from the best possible source of the traditional Japanese vegetable, this Nori from Clearspring is wonderfully versatile. Known as 'hoshi nori' in Japanese, the purple-ish sheets require a brief toasting by unfolding the sheet and holding it over a gas flame or electric burner until it begins to turn green. They make an ideal healthy snack or wrapping for rice or sushi rolls. Torn or cut with scissors into thin strips, nori makes a tasty garnish for grain, noodle and vegetable dishes as well as soups and salads. 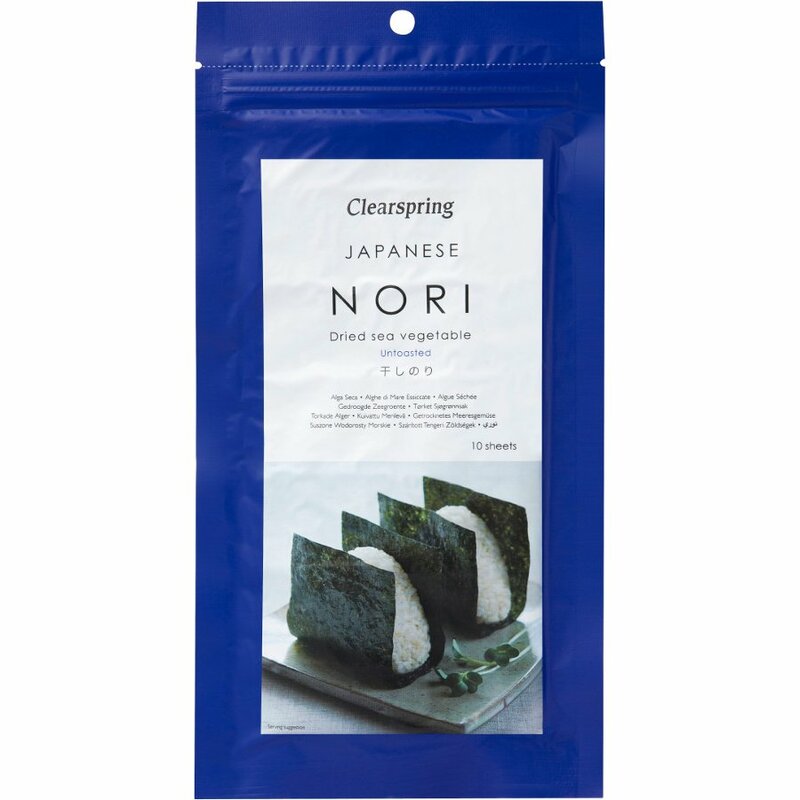 Lesser grades are a dull, purplish-black colour and lack the vibrant sheen of Clearspring Japanese Nori whose fine, even texture and translucent, deep-green colour are proof of its excellent quality. 25g pack. May contain a trace amount of fish, molluscs and/or crustaceans. Store in a cool, dry place. Reseal pack after use. The Clearspring Nori 25g product ethics are indicated below. To learn more about these product ethics and to see related products, follow the links below. We toast this and roll up sushi rice, cucumber, tofu and avocado in it to make tasty vegan sushi. There are currently no questions to display about Clearspring Nori 25g.